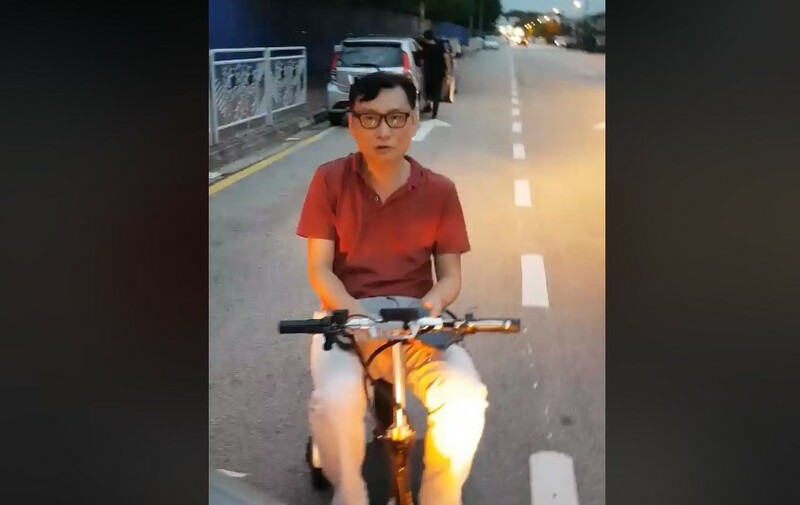 The man in the picture driving an E-mobility device drove against the traffic and almost crashed into a car. He then later said that he had a headache and expects compensation. Later on, the man on the mobility scooter said that he is a handicapped and cant walk. The driver said you were standing a min ago.